Fireplaces are often the focal point in the house or in a commercial property. Too often these beautiful features have been painted over, or neglected with rust stain, smoke damages or scratches. At posh floors Ltd we have many years of experience in restoring and refurbishing fireplaces. Even the most neglected fireplaces can very often be restored with remarkable results. Whether it is Slate, Marble, limestone, granite or any type of natural stone we will probably be able to revive the look of your old fireplace. Our many years of, expertise and quality of work makes us a leading force in the field Fireplaces restoration. if you have an old fireplace, do not try painting over it, covering it or replacing it; call us now, in many cases, your fireplace can be restore to its original beauty. Fireplaces are often the focal point in a residential or in a commercial property. Too often these beautiful features have been painted over or neglected with rust stains, smoke damages or scratches. In the winter season, a fireplace that keeps the temperature of a particular place controlled also adds stains and dirt to itself. Due to excessive use and improper cleaning measures, fireplaces made of different stones like limestone, slate, granite or marble desert their shine and dazzle as well as long lasting ability. To restore their natural beauty and flash, fireplaces need immediate expert attention and care. At posh floors Ltd, we have many years of experience in restoring and refurbishing fireplaces. 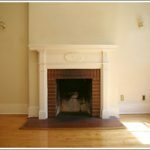 Even the most neglected fireplaces can very often be restored with remarkable results. We know how to revive the look of your old and unattractive fireplace. Our professional and qualified working staff knows the expectations of all customers and renders them what they need. We have made cleaning limestone fireplace easy and convenient so that you don’t feel disappointed with old and ordinary looking fireplace. Carrying many years of expertise and experience, we assure all of our new and existing customers with unmatched and flawless quality of work. Don’t replace, cover or paint an old existing fireplace; ask our experts how to do it and get stunning results by restoring natural, original and lost beauty to fireplaces. Come to us if you think of cleaning, repairing and polishing of fireplaces. Get expected results with assured removal of all sorts of stains, scratches and paint covers. Even, you can enhance the appearance of any old fireplace or can re-polish it to add more sparkle and brightness to it. Our qualified and experienced stone masons are able to carry necessary and required repairs carefully by matching the original colour of your fireplace to allow a near prefect repair with selected mortars and resins. With our special state-of-the-art cleaning techniques and methods, we are able to carry out virtually invisible repairs to all sorts of fireplaces whether they are old fashioned or made of modern architectural patterns. We use certified and high quality products like vacuum cleaners, pH neutral stone cleaner, stain removers, thinner and sponges to give you’re a fireplace cleaning your choice that suit your needs and wants properly. We pick natural cleaning ingredients that are stone-friendly in place of harmful chemicals that mar the beauty of fireplaces with hardness and rigidness. Our qualified stone masons are able to carried repairs carefully matching the original colour of your fireplace to allow a near prefect repair with selected mortars and resins.